Mark Johnson, the previous CEO of SkyPilot Networks (later acquired), blew my mind on the second day of our trip and introduced our group to the startup ‘”WTF” moment’. His belief was that every truly successful startup had a moment in which a user would experience a WTF moment – when they were struck with what the tech or company offered and how it was going to change their life. Similarly, a WTF moment could be an extreme juxtaposition to what you would expect in any given situation or experience. My moment occurred a few days later. 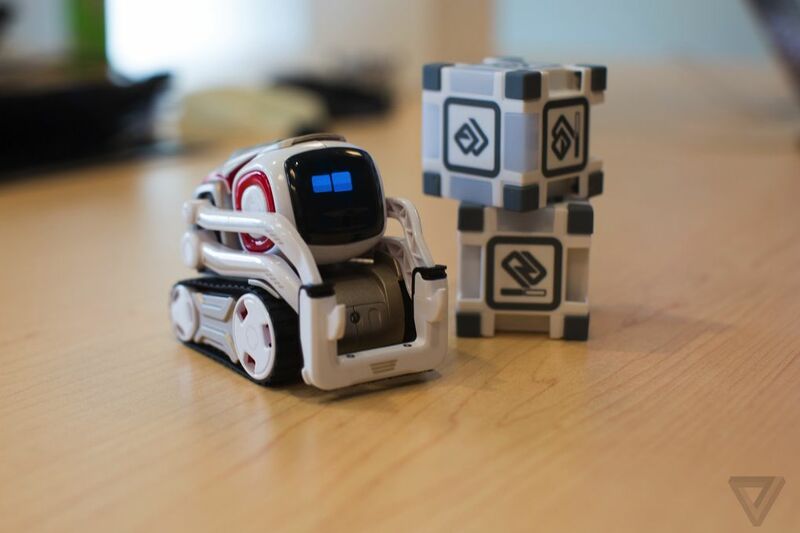 I had tried to organise a meeting with Anki, a toy robotics company, as I was enchanted by their little creation, Cozmo. Cozmo, a robot designed by animators that attempts to bring a Disney-like character into the real world. Its cartoonish eyes react with its environment, bringing emotion and character to its interactions with the environment. It was the beginnings of personal robotic interactions and I wanted to meet the founders who created it. Unfortunately it was the busiest time of year for them as it was close to Christmas; their crunch time for Cozmo sales. I quizzed my sponsor about alternative places I could go to speak with other people or companies with a background in consumer-level robotics. She suggested that I go to Beers and ‘Bots, a public event where people could meet up and share their knowledge or current projects in robotics. I locked it in.. but got more than I expected. I was expecting there to just be a bunch of people like me who had an interest in robotics but were more hobbyists, or perhaps studying in the field. As soon as I walked in, one of my friends looked at me wide-eyed and pulled on my coat toward a crowded table. There he was – Cozmo. I picked him up with excited approval of the accompanying Anki team member and watched him curiously survey my hand. But my WTF moment wasn’t here. Shortly after, we were ushered to some seats pointing toward a speaking space. The event was hosted by PubNub, a company providing APIs for developers building secure realtime Mobile, Web, and IoT Apps. A woman spoke about for a little while about why we were gathered at the event and to my amazement, she invited whoever to the floor to speak about why they were there and what they were doing. I assumed this was simply just introductions, but what unfolded was different members of the audience pitching their startup projects, ranging from environmental survey bots to intelligent photo cloud services. It appeared there was a Venture Capitalist at the back listening intently to these prospective investment projects. Previous story Catalyst Crew takes Google Mountain View!